Access our Hymnal Online and assist with corrections. 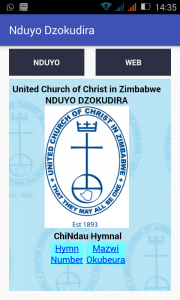 You may also download our Hymnal Android App from this link. Please send a donation of any amount by ecocash to the developers on +263773657950 if the Hymnal App has been useful to you.